Elsie thought she had it made when she married Rupert Bainbridge. Not only did she truly love the handsome heir, she was looking forward to something she never thought she would have: a life of luxury in a stately home. 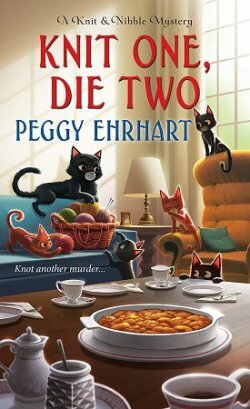 Now Rupert is dead, and Elsie is a pregnant young widow going to live at the Bainbridge country estate until her period of mourning is over. What she finds at The Bridge is not what she expected. The country house is in dire need of cleaning and repair, the servants resent her presence, the local villagers are actively hostile, and she's stuck with the company of Rupert's rather insipid cousin, Sarah. But as she and Sarah explore the moldering old house, Elsie finds a locked door-- and when she opens it her life will never be the same, for one of the things she finds is a painted wooden figure-- a silent companion-- that looks uncannily like Elsie herself. Elsie scoffs at the servants, who are terrified of the thing... until she notices the figure's eyes following her. I've always enjoyed a well-told ghost story. The problem is finding one that rivets my attention to the turning of each page. 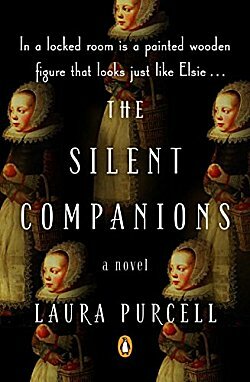 I'm happy to say that I found a Victorian ghost story that suits me right down to the ground: Laura Purcell's The Silent Companions. I found the beginning of the book to be a bit slow moving until the locked room was opened and a diary was found and read. Then there were two timelines to follow, and I have to admit that I wish Anne Bainbridge's diary written in 1635 was a lot longer because that story fascinated me with its focus on a visit to The Bridge by King Charles I and his queen, Henrietta Maria. The second timeline is Elsie's in 1865, and both give a marvelous sense of time and place. One of the things I really enjoyed was how my perceptions of each character changed as I read further and further into the story. Even Elsie's seldom-seen brother Jolyon (a medieval version of "Julian") isn't just a foil for showing readers women's place in society and business during the Victorian era. I know that those two-hundred-year-old wooden figures are supposed to be the scariest things in The Silent Companions, but they aren't what creeped me out. No, that honor goes to Purcell's descriptions of the house, its gardens, and the village. The village was so mired in poverty, superstition, and hostility, the house and gardens with dirt, neglect, and resentment that the menace was palpable. As I read, I felt that eyes in the back of my head were not enough; no, I needed a team of Navy SEALs surrounding me at all times. 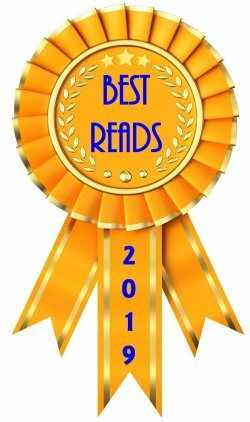 If you're in the mood for a good ghost story, I highly recommend The Silent Companions. I still shiver when I think of revisiting that ancient country house, The Bridge. I like parallel timelines in stories. Always adds depth and drama. I think they do, too. I'm not usually much of a one for ghost stories, Cathy, but this one does sound intriguing. And I do think that parallel timelines can work really well. Glad you liked this one so well. The parallel timelines really did the trick. I am eager to read this book. It downloaded to my Kindle today along with The Darling Dahlias and the Unlucky Clover . 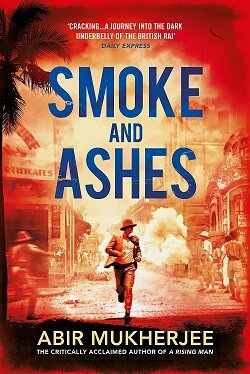 Thanks for the review and featuring this book in March's new books. That is where I became aware of the book. It sounds so good. I hope you enjoy it, Lynn, and thanks for reminding me. I really need to get back to the Darling Dahlias series! 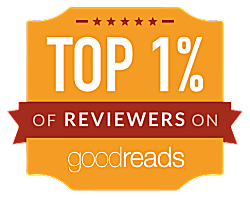 Yours is the second really positive review about this book that I've read today. And so, I'm in. I love a good ghost story and this one - the phrase about 'the eyes following you' is shivery. Ooooh! Eerie ghost story and parallel timelines, not my things. Don't like to be scared.